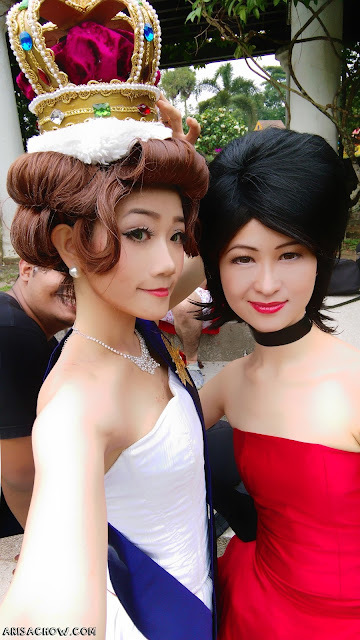 Finally a shoot with Kak V as Scarlet Overkill (pronounce as overKEWLLLLL) after our last collaboration in 2012 for Angelic Layer photoshoot. Gosh, it's been almost 3 years already and we aren't getting any younger better quickly finish up all the moe characters on my list before more wrinkle grows *sobs*. 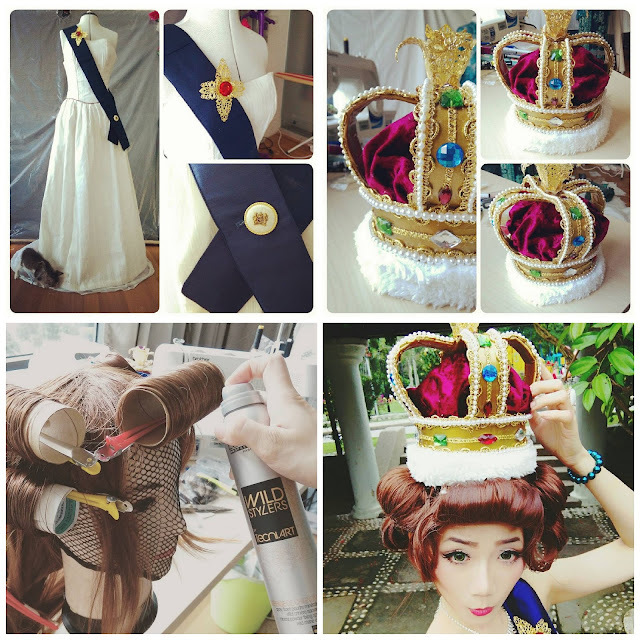 No fancy costume, just tons of blings for dear ol' queenie, just hope the real Queen Elizabeth doesn't stalk my postings and see me doing this unglam pose lol. 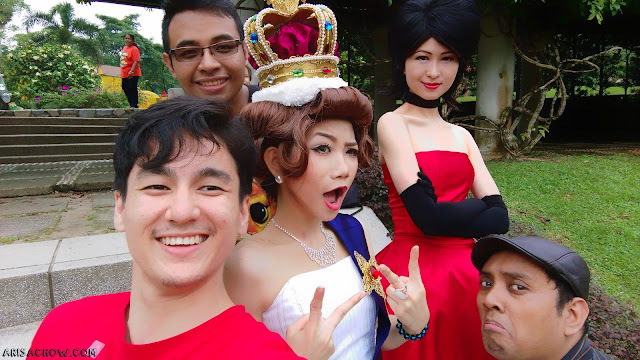 But seriously thanks for getting out of the house to do this, damn right i was avoiding people (because malas) and burying myself with work for the past few weeks because i am in my low mood and hopefully it goes off soon. p/s: To the crazy kak V for did 3 shoots in one day (gila) please go sleep instead lol.